When the dog days of summer hit, this is the routine I always turn to for keeping my chops in shape when it is easy to let it all slide. In-depth walkthrough below. If you would like to purchase these books in a bundle, you can do so at 20% off right here (LINK). These can be done effectively many different ways, but this time let’s do them just as Clarke intended: start each study in the lowest possible key, very very soft. The idea is to become adept at an extremely relaxed, economical way of playing. We must have a very secure, efficient sense of air support, and a pliant, flexible aperture supported by a strong, stable embouchure. Though we will sometimes ascend to some of our highest notes, in general our playing should be very “conversational” – a good image to keep is of a very well tuned car engine, that can idle so quietly that the driver is not aware that the car is running. For the most part you will be playing softer than you would normally do in performance, so do not be too concerned with your tone quality – you are “tuning your engine,” connecting with your instrument on an extremely relaxed level. Do one study a day. This makes a very nice eight-day cycle, where we hit our fundamentals every day within the framework of varying demands. No. 1 – At least eight times in one breath. Whisper soft. Once you are in the middle register, legato tongue a few of them (four times through when tonguing). No. 2 – Each one twice, at first. Stop where Clarke stops, don’t continue into the high register (this is meant to be an “easy” day). After you are very comfortable with these drills, go through each one four times: slurred, single tongue, K tongue, and double tongue – and keep the tempo the same throughout. No. 3 – Each one twice. Work in some tonguing after you learn the patterns. Keep striving to be able to play these softly. No. 4 – Play using the same approach as No. 3. No. 5 – On this one we can open up dynamically as we ascend to the highest notes. Keep as much of it as “conversational” as possible. For now, skip the scale exercises 99-116. No. 6 – Play these just as written, so the tongued arpeggios at the end are in contrast to the slurred material. No. 7 – Again, work in some tonguing as you get comfortable technically. Stay as soft as possible. For now, skip the arpeggio exercises 151-169. No. 8 – Play using the same approach as No. 7. 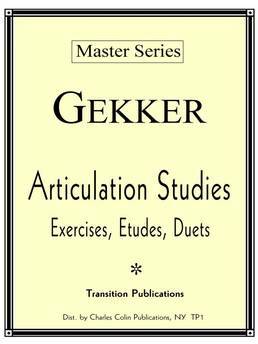 On your first few cycles, omit the etudes at the end of each study. After the studies are fairly well learned, start to learn them. I usually tongue the etude after going through the studies where I use a mixture of slurring and legato tonguing. 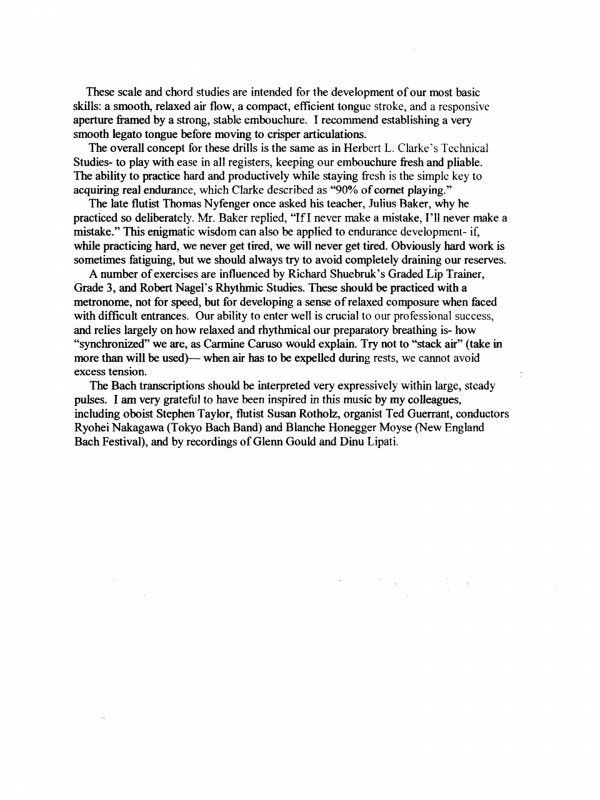 Clarke recommends a fair amount of multiple tonguing practice – I prefer to stick to legato single tonguing, except for the drill on the Second Study. I like to set up a shorter cycle for these – here is a good three-day routine. With Schlossberg, we’ll use our metronomes and will try to keep in mind James Stamp’s advice, to “think down when going up, and up when going down.” Really listen to your sound on these, but remember what Arnold Jacobs has taught: do not be obsessed with how you sound; rather, play to an ideal tonal concept that hopefully you are continually cultivating internally. No. 117 Quarter = 96 Crisp and clear. No. 10 Quarter = 40 Follow Schlossberg’s dynamics. Rest a bit at the double bars. No. 18 Quarter = 80 Legato tongue every note, very soft. No. 30 Quarter = 60 Very full, well projected, as exciting as possible. No. 76 Quarter = 60 Very strong, marcato. No. 93 Quarter = 80 Rest between each one, very full and strong. No. 118 Quarter = 96 Crisp and clear. No. 13 Quarter = 40 Think “up” as you go “down” – do not telegraph your slurs. No. 20 Half = 60 Legato tongue, singing sound. No. 78 Eighth = 96 Very strong, marcato. No. 99 Quarter = 80 Crisp and well projected. No. 100 Quarter = 80 Same as No. 99. No. 119 Quarter = 96 Same dynamic throughout, somewhere between p and mf, all in one breath. Need Copies of These Books? After you’ve rested a while, turn to the 14 Characteristic Etudes in the Arban Grand Method. Aim for one a day – it takes two weeks to get through them. For the first two cycles through I like to use a practice routine adapted from Claude Gordon. It will take 20-30 minutes to go through each etude, but they will mostly be learned in one day. Don’t use the metronome a lot on these, just occasionally after they’ve been learned, to experience at least some of each etude at Arban’s tempos. The language of this music requires a kind of flexibility that rules out using a metronome throughout. Here is the version of Claude Gordon’s method. We’ll start with No. 1. Play the last four measures four times. Move four measures further toward the beginning, and do those four times. Then play the last eight measures to the end. Go to twelve measures before the end, and do those four measures four times, followed by the last twelve measures to the end. 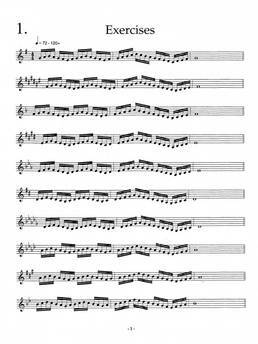 Keep working to the beginning of the etude, doing four reps of each four bar segment, followed by a run to the end of the etude from the section you did your reps with. Take enough rest throughout so that you stay relatively fresh. As your run-throughs get longer and longer, insert some short rests if you feel yourself getting tight. This routine will toughen your mind, and once you get the hang of it you will never again need a week to learn an etude. Note that the Clarke Studies cycle every eight days, the Schlossberg every three days, and Arban every 14 days. So while you are relearning and reaffirming your fundamentals every day, each day is also different. If you are involved with a heavy performing schedule, do not try to practice hard. You can only improve your playing when you have time to recover properly. 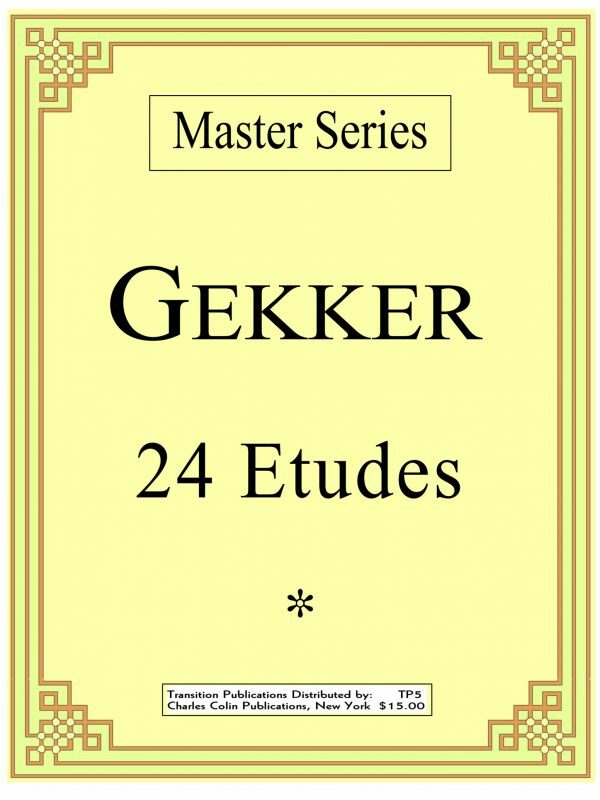 I believe that the Clarke studies are very beneficial even when doing a high volume of rehearsals and concerts, but you may want to save the Schlossberg and Arban for lighter days. Only experience will teach you, and we are all different in some ways from each other. But this principle is true for all of us: improving and getting stronger requires that we all work very hard, and rest adequately. One without the other does not work. 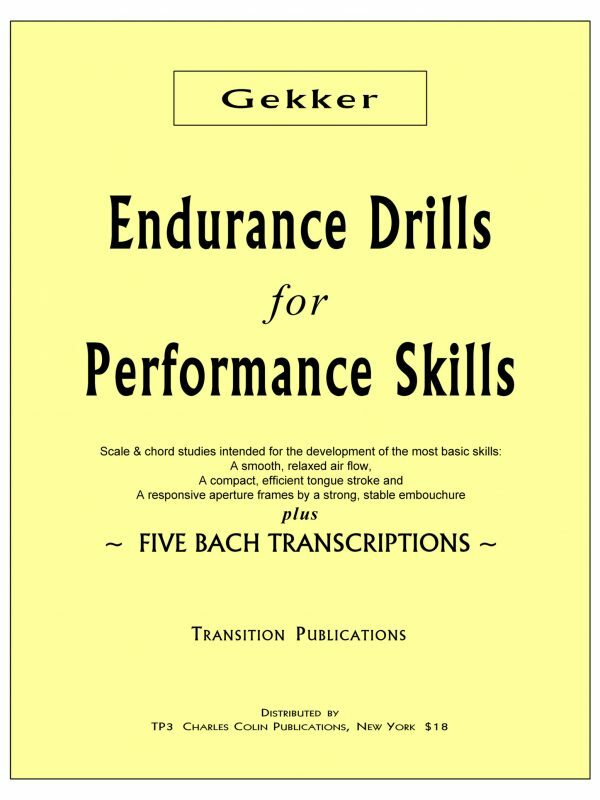 Assuming that you can practice fairly consistently, after one month you will have gone through the Clarke studies 3 or 4 times, the Schlossberg drills 9 or 10 times, and the Arban etudes twice or so. At this point I like to make a few changes. Keep your Clarke routine the same. It may be hard to imagine, but many prominent trumpeters have made a point of doing the Clarke studies for years. 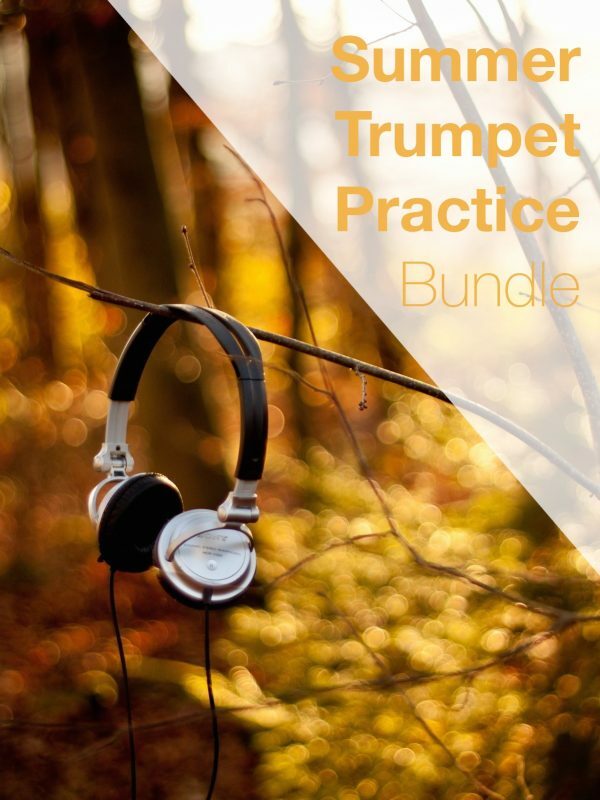 Keep in mind the old adage “form follows function” – if, on a daily basis, you establish a very efficient, relaxed approach to playing the trumpet, you will eventually become a trumpeter that can, on a daily basis, play the trumpet in a relaxed, smooth, and expressive manner. We’ll now change our routine a bit. After Clarke, alternate days of Arban and Sachse 100 Etudes. On your Arban day, keep working on the 14 Characteristic Etudes, one a day. Try this: do the last third or so a couple of times, the middle third twice, and the same with the first third. Rest at least five minutes, and try to play all the way through. With Sachse, start with No. 1, and do it in every transposition you can, including ones that might not be indicated. After this month of practice, you should be through about 15 of them. I recommend setting a goal of eventually doing all 100, in every key possible, which will take about two years. (As a student, I needed more than three, because I found it very hard to keep working on these when I was sounding so bad. After I was about halfway through the etudes, I started seeing real results, and was much more motivated to continue.) Transposition needs to eventually be as automatic as possible and the trumpeter that relies on formulas will be easily rattled under pressure. Formulas are necessary to help us learn how to transpose, but if you are serious you will want to progress to the point where you do not have to rely on them. 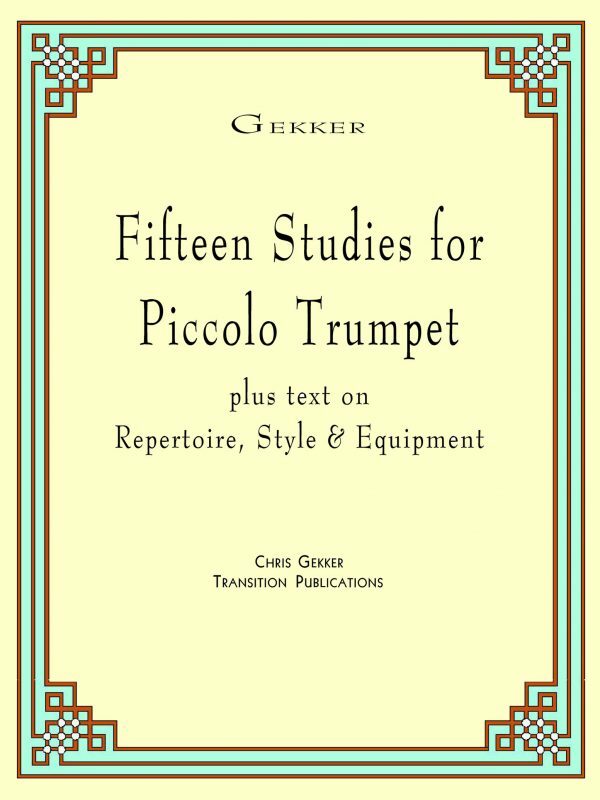 The only way to make transposition nearly automatic is through learning a large volume of material over a fairly long time, which the Sachse book is made for. 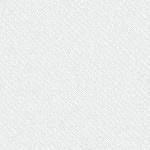 Many other benefits will be evident, if you persist on these etudes in every key possible. Mix up your approach – one day, start at the lowest key and work up by half steps. Another day, do the reverse. You can also start in the middle, and progress in half steps, alternating going up and going down, so you radiate outward from the middle. After your etude work, rest awhile. 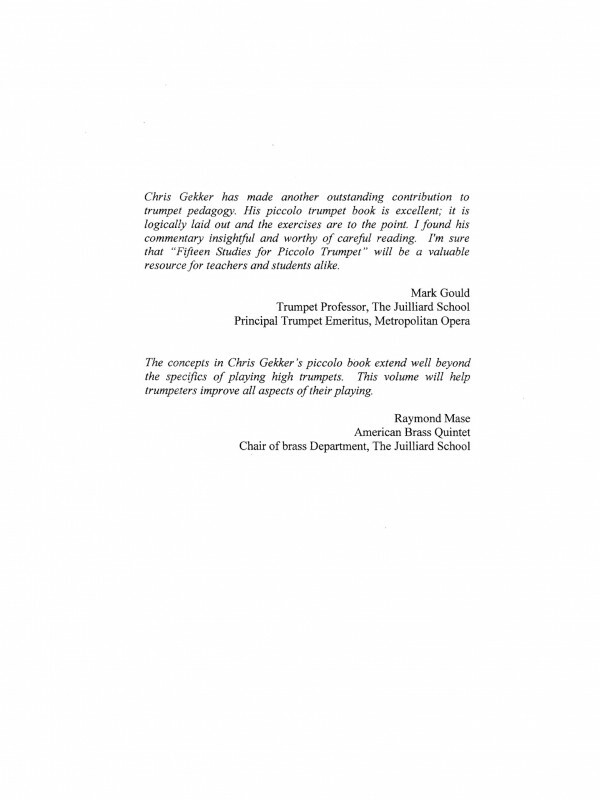 At this point we’ll alternate our Schlossberg work with a book like Charles Colin Lip Flexibilities. You should by now have a good command of the Schlossberg exercises, and can start to perform them with more intensity (wider dynamic contrasts, more variety in styles of articulation). When these exercises a played really well, they can sound like very dramatic orchestral excerpts. On alternate days, do this routine from the Charles Colin book – No. 3, No. 9, No. 21, and pages 35 & 36. If your high D is coming out with ease, move on to the next level, but stick to about five exercises. Remember that these are primarily tongue level exercises, and must be performed with a dynamic, powerful air stream in order to realize the benefits. Rest at least as long as you play. The reason we have switched the order is to make our practice routine a bit more in line with what sport medicine research has taught us about how to improve and get stronger. Begin by connecting with your body on a relaxed easy level, then move on to skill practice, and end by working on our power and strength. 1) Pick one or two of our most challenging excerpts, and really work toward mastering them. Two that most trumpeters will have to contend with many times are the Ballerina’s Dance from Petroushka and the Ravel Piano Concerto. Since they present some of the same problems, this approach will work well for both. Do 20 reps of either excerpt at a session, like this – 5 times at Quarter = 96. 5 times at Quarter = 108. 5 times at Quarter = 126 (this will not really be possible for most players, but hang in there and do your best). And then 5 times at Quarter = 108-116 (this is a common performance tempo and will feel relatively easy after what you have just gone through!). 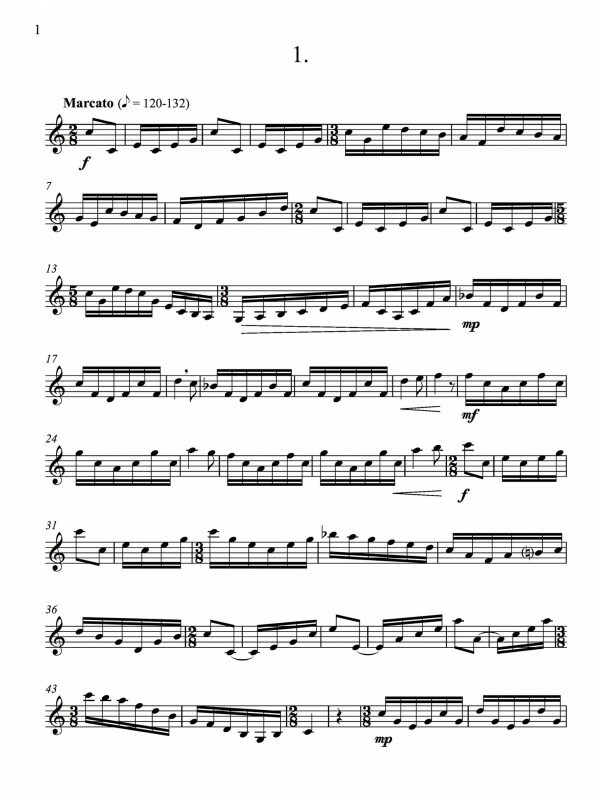 If you devote a month or two to each excerpt this way, you develop the skill and reflexive memory that will allow you to quickly reclaim these solos whenever you have to play them in the future. 2) Find a recording of an improvised solo that you really like, and memorize it – not just temporarily, but so you can play it for anybody, anytime. If your approach is based on bebop, try learning a couple of Louis Armstrong’s solos, like West End Blues or Weather Bird. Or go the other direction, something more modern, like Woody Shaw, Booker Little, or Lester Bowie. Try something from another instrument, some Lester Young, or maybe Sonny Rollins. But find something you can really learn and play – many of the great innovators, such as Charlie Parker and Dizzy Gillespie, could play many solos by their favorite players, such as Lester Young or Roy Eldridge, by memory. Memorization is not a special virtue in itself, but being able to play music by memory, whether a transcription of a great improvisation or a favorite etude, allows us to practice in a very productive way. When we can play without constantly looking at a page of written music, we often hear ourselves better and can really connect with our playing, both consciously and subconsciously. The method described earlier of learning the Arban etudes (working from the back to the front) is a very effective way to memorize music. When you get in the habit of doing some of your practice in this way, you will find that you will temporarily memorize whatever music you are working on. 3) If you are planning a recital in the coming year, begin working on deciding the repertoire and get some real time in on playing through it, making a special point to isolate and master the hardest parts. Finally, if you are lucky enough to find yourself around some really fine musicians, play for them – especially if they are not trumpeters. Ask them to criticize you as hard as they can. Write down what they say, so you can think about it. What they say might not make a lot of sense at first, but you may find yourself eventually learning things that will surprise you. The work is never ending Russell, good thing we love it!